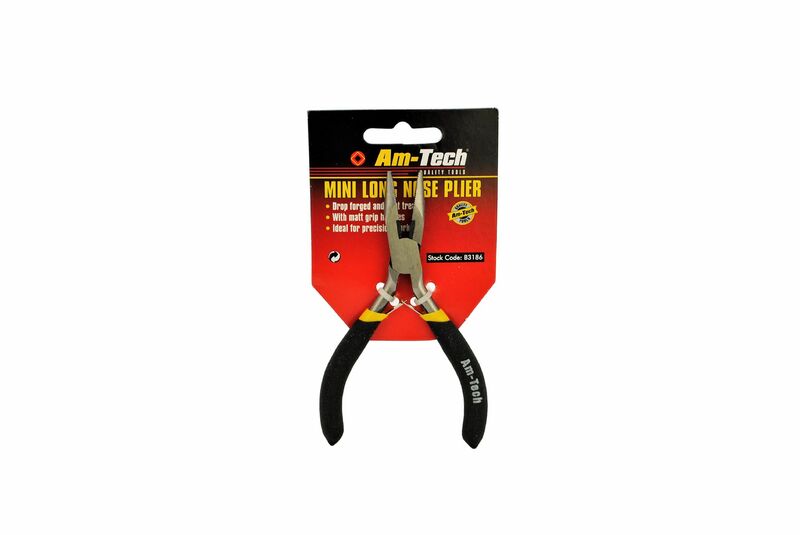 Am-tech mini long nose pliers. 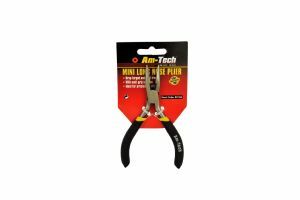 Total length of the pliers is approximately 5"
Can be used for many different uses including crimping, gripping, cutting and much more. Drop forged and heat treated with matt rubber grip handles. Also is a spring loaded handle for ease of use.